The Rink Battle Creek welcomes you back to the Rink. 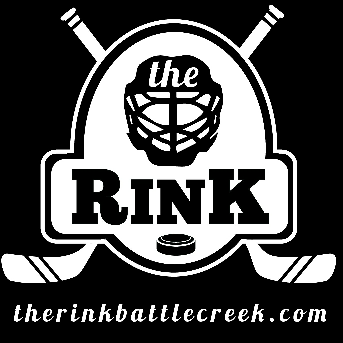 Under new ownership, the Rink Battle Creek is now family owned and operated. With a deep desire to make quality ice time available to our community, regardless of age, league affiliation, background or capability. In a fun, safe and clean environment we welcome you to join us for a game, open skate, community event or sharpen your skating or hockey skills through an Open Skate or Sticks and Pucks practice time. If you are looking for more structured ice time, please look to the below house groups. In addition, to the below, we are looking to start a figure skating club and Home School league soon. Visit us again soon for more details! The GBCIHA is a volunteer run youth Hockey Association. The GBCIHA runs seven house teams, a Learn to Skate Program and Learn to Play Hockey Program. Visit the GBCIHA online at bcbruinshockey.com for more information. The Rink BC is home to a long standing six team adult league. The adult league skates every Sunday and Wednesday night. The Rink BC is excited to announce that several leagues will soon be forming for partial and full year play.